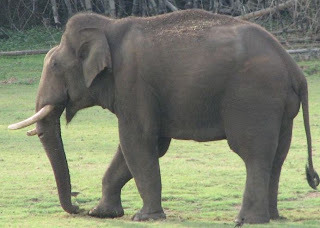 Animal Wildlife | Elephant | There are numerous subspecies of the Asian elephant, these are the Indian Elephant, Sri Lankan Elephant, Sumatran Elephant, Borneo Elephant. 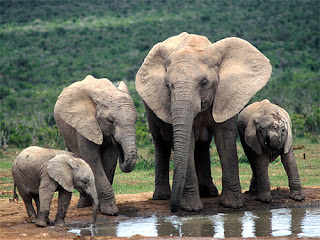 African elephants are larger than Asian elephants and have two subspecies which are the African Bush Elephant and African Forest Elephant. 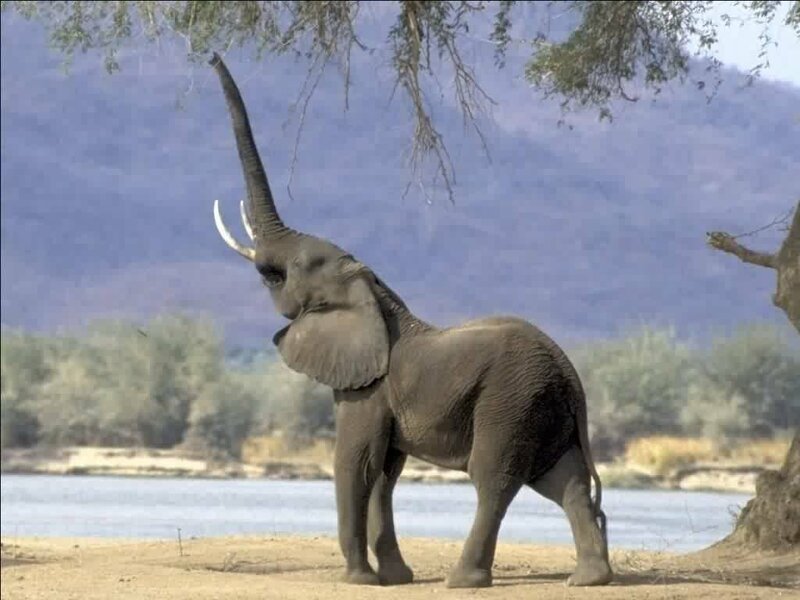 The elephant is the only known mammal that, despite having knee joints, cannot jump! 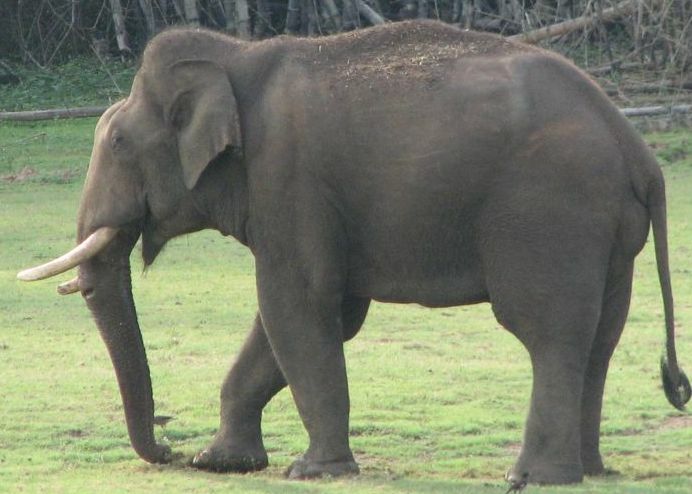 This is thought to be primarily due to the elephants sheer size but also because of the way that the elephants legs are built, they are short and stocky to support the elephants phenomenal weight. Elephants are herbivores that spend around 22 hours eating! The elephant searches for green leaves in the tree tops but it is not uncommon for the elephant to tear down the tree to get the leaves. 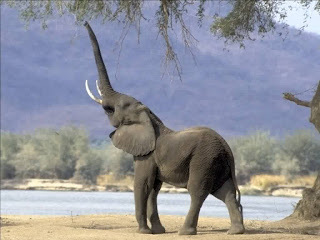 The elephant uses its enormous feet in which to collect small amounts of water and to dig up roots out of the tought ground. Elephants have 26 teeth in total which includes 24 molars in the mouth of the elephant and the elephants tusks which are actually two incisors. The replacing molars in the mouth of the elephant push the old molars forward to let the new molars grow at the back of the elephants mouth. 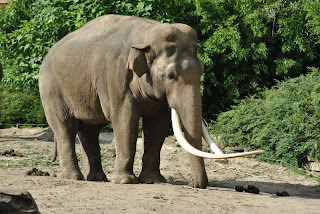 The elephants uses its tusks for digging, ripping bark from trees and foraging, as their tusks are essentially no different from normal teeth. 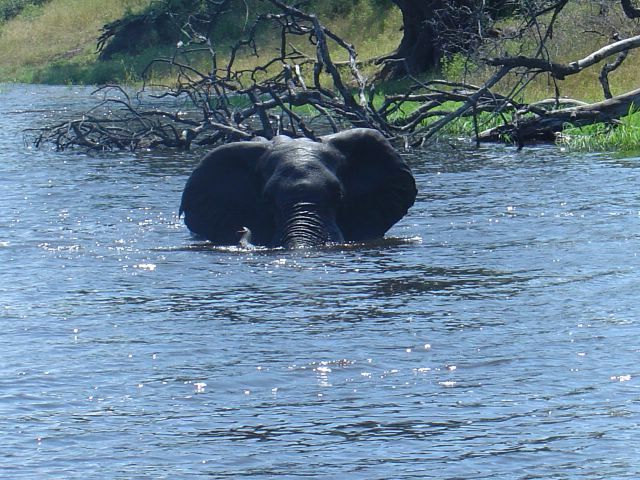 The teeth of the elephant are made from ivory, a strong compound that humans seem to have lust for but it has meant that countless elephants have been killed for their teeth alone.